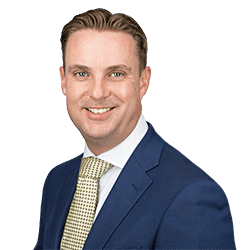 Richard Swain is a Partner in the Corporate / Commercial and Banking team in Southampton, and has been advising businesses and individuals in the Solent region since 2000. Richard advises on all aspects of corporate law, specializing in business and share sales, acquisitions, MBOs, mergers/demergers, and debt/equity fundraisings and investments. In addition, Richard also advises on a variety of company constitutional and general company law matters, as well as banking transactions. Richard’s work frequently includes advising on group re-organizations, joint ventures, articles of association and shareholder agreements, share options, partnerships, and start-up businesses. Richard acts for clients of all sizes, from small family run businesses to large well-known national groups of companies, and across a wide range of sectors. Acting for the management team on the MBO and venture capital investment in a precision engineering manufacturer. Advising the shareholders on the group restructuring of a national distributor in the food and drink sector. Acting for a FTSE 250 listed global marine engineering services group on its acquisition of a company providing services to the oil and gas sector. Advising the shareholders of national franchisor operating an extensive chain of lettings agents. Acting for the seller on its disposal of a group of care homes to a national chain. Advising the buyer on a bank and venture capital funded acquisition of an IT services company. Acting for the UK Seller of a motor franchise operated in West Africa to a large listed group in France. Frequently advising smaller and medium sized owner-managed businesses on business sale and purchases, and putting in place suitable shareholder arrangements. Advising both banks and business customers on corporate refinancings. Helping companies structure appropriate EMI Option Scheme arrangements to incentivise key employees.